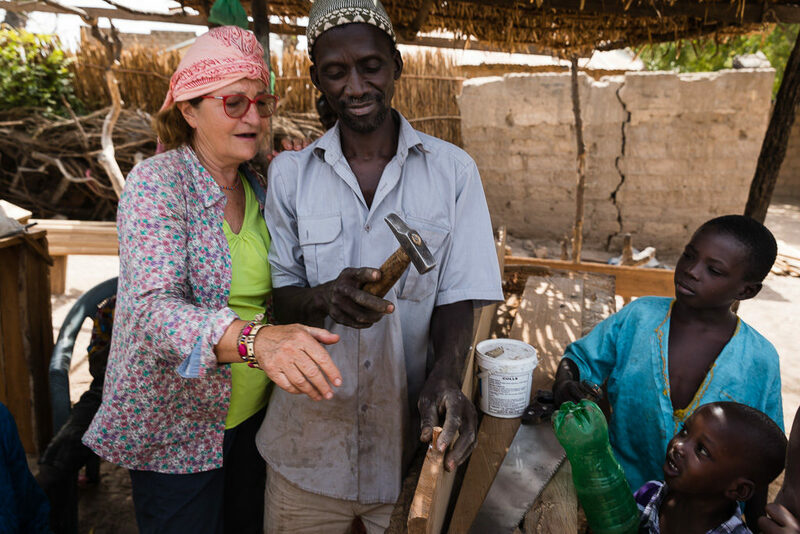 From end of December 2016 to end of March 2017, Liliane went on the path of Justine et Mahery in Sénégal. She spent three wonderful months where HopTrips succeded to each other, all the more interesting and rewarding than the others. Testimony and more than other…images ! During these four HopTrips, human exchange went over my expectations. Senegal is certainly the country of « terranga », this hospitality I had been so often told. And yes it is true that we feel good as soon as we land. But Hopineo gave me the opportunity of exchanging and sharing with people who would have never crossed my path in a classical travel pattern. Moreover, I took the time to slow down, and to understand. Understand their habits and thie customs, their culture, what we can do and what we cannot do. Understand their needs, their difficulties, their opportunities, their desires, and to accompany them in their path, humbly. It is challenging to take us out of our comfort zone, to observe our daily life in a different way, and often to change of paradigm, but then in this way we take a big step forward in our own way of looking at life. The menu of HopTrips in Senegal ! Read more on the Campement Alouga in the rubrics « Lasts HopTrips ». Read more on the Sobo Badè in the rubrics « Lasts HopTrips ». Read more on the la Source Aux Lamantins in the rubrics « Lasts HopTrips ». Liliane also realised a wonderful HopTrip at the Campement of Niombato in the sud of Sine Saloum. She indeed prepared photo interships for next year. Stay tunned!